Related Work Packages: WP1 & WP4 (see WP Table). Mun Li holds a Bachelor’s degree in Biomedical Sciences from the University of Putra Malaysia, where she studied the effect of a local plant extract on blood glucose and kidney function in streptozotocin-induced diabetic rats. Under the Malaysian Palm Oil Board (MPOB) Graduate Students Assistantship Scheme, she then obtained her Master’s degree in Medical Science from the University of Malaya. Her Master’s project focused on the anti-inflammatory effects of palm tocotrienols in both in vitro and in vivo models. After graduating from her Master’s degree, Mun Li joined the Cancer Research Initiatives Foundation (CARIF), an independent and non-profit cancer research organisation in Malaysia as a Research Associate. At CARIF, she worked with a team of biologists and chemists in the Drug Discovery Team, aiming to tap into Malaysia’s biodiversity for potential anti-cancer drugs. Using cell-based assays, she screened small molecules and natural extracts for anti-cancer properties, specifically to look for potential photosensitisers for use in Photodynamic Therapy. In addition, she was involved in the characterisation of active photosensitisers, as well as immunology-related research. 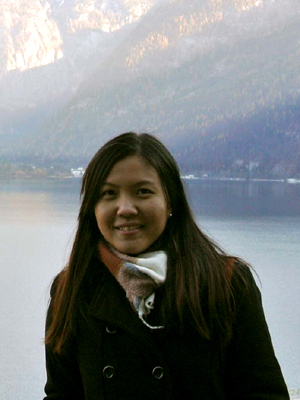 In 2011, Mun Li joined AvantiCell Science Ltd. in Scotland (UK) under the Marie Curie Fellowships to be part of NanoTOES, a project under the Seventh Framework Programme. In her 2-year tenure as an Experienced Researcher, Mun Li will focus on the development and validation of novel cell-based assays to meet unmet needs in the safety assessment of nanostructured materials. Yam Mun Li, Sitti Rahma Abdul Hafid and Kalanithi Nesaretnam (2006). The potential for tocotrienols in inflammation. Palm Oil Developments, 44: 16-20. Mun-Li Yam, Sitti Rahma Abdul Hafid, Hwee-Ming Cheng and Kalanithi Nesaretnam (2009). Tocotrienols suppresses proinflammatory markers and cyclooxygenase-2 expression in RAW264.7 macrophages. Lipids, 44: 787-797. Neni Frimayanti, Mun Li Yam, Hong Boon Lee, Rozana Othman, Sharifuddin M. Zain, and Noorsaadah Abd. Rahman (2011). Validation of quantitative structure-activity relationship (QSAR) model for photosensitizer activity prediction. International Journal of Molecular Sciences, 12: 8626-8644. Cell-based analysis provides a relatively convenient means of testing the effect of nanostructured materials on human cells. However, the usefulness of this testing depends upon its ability to predict accurately the effect of those materials on human body. In this project, Mun Li aims to develop cell-based assays validated for their ability to predict toxicological responses to nanoparticles under a range of sample-presentation conditions. The assays shall be able to measure the cytotoxicity of nanoparticles selected by project partners and presented in a variety of standardised forms. Assay development will focus on the building of a robust assay platform with high predictive value which shall be distributed amongst project partners for evaluation, with the assay systems being refined based on user feedback. Additionally, the assays shall be delivered in a simple and user-friendly readout, but alternatively allowing the possibility of high-content outputs for obtaining detailed information on cell function, as well as to identify subtle changes in cell phenotype resulting from nanoparticles exposure.